The importance of waste management in any sector is as clear as daylight, but sometimes eager entrepreneurs fail to consider its importance when setting up their own businesses. In conjunction with Reconomy, which is a leader in offering a range of skip sizes across the United Kingdom, we take a closer look at how different businesses in different industries dispose of their waste as well the cost implications taking into to account the whole UK. The key to success in any business is focussing on the core business activity which generates profits while operational costs should be minimised. Effective waste management is one way of reducing unnecessary costs. The implications thereof would entail working with a waste management company that will go on to create a more reliable and bespoke collection routine which better meets your business needs, after drawing up a profile of your business to calculate the amount of waste your company generates. How much waste was produced by different industries in the UK (2014)? 202.8 million tonnes of total waste was produced in 2014, which makes for a 4.6% increase from 2012. The UK food industry produces 915,400 tonnes of waste each year, including 199,100 tonnes of food waste alone, while the pub industry’s total waste amounts to 873,000 tonnes per year, of which 173,000 is food waste. Annual food waste management costs in these sectors amounts to £3,500 per tonne. The hotel sector’s annual expenditure on food waste comes up to £318 million, amounting to 79,000 of the 289,000 tonnes of total waste produced. 121,000 out of the 170,300 tonnes of waste produced by the health sector is food waste, costing £230 million to manage each year. 7% of all the waste in this sector is recycled. 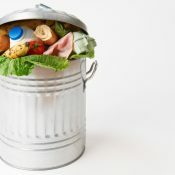 Businesses can reduce their waste through better management of their core business operations that contribute to food waste, like cutting down restaurant menu sizes in line with customer consumption patterns, reducing portion sizes, buying food only as required, and donating unconsumed food to shelters and charities. As part of the British government’s aim to become a zero-waste economy, it has issued responsibilities to businesses to keep their waste to a minimum, sort their waste and store it correctly, and complete waste transfer notes when the waste leaves the premises. Only certified waste carriers should be used, which are then to be reported to Crimestoppers if they dispose of your waste illegally and in a way that can damage the environment. Naturally waste will still exist, but the aim is to deploy all resources possible to ensure we get full value out of all the products we use.